This article contains an image recreated from memory of an actual photo in an ex-ILMer’s archive — it is a re-creation for research purposes only, and not an official StarWars art piece. (However, the design has been verified to exist in the LFL archives by an insider.) Updated news is here. 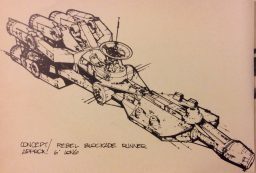 Story update: Joe Johnston on Twitter states that he personally did not do the original drawing that inspired the illustration in this article, and also states he only used the cockpit and radar dish as elements. Han Solo’s spacecraft, the Millenium Falcon is by far one of the most recognizable spacecraft to grace motion picture screens. Originally designed by Colin Cantwell as a longer, classic rocket ship, it evolved under the tutelage of many artists, but primarily the work of Joe Johnston. 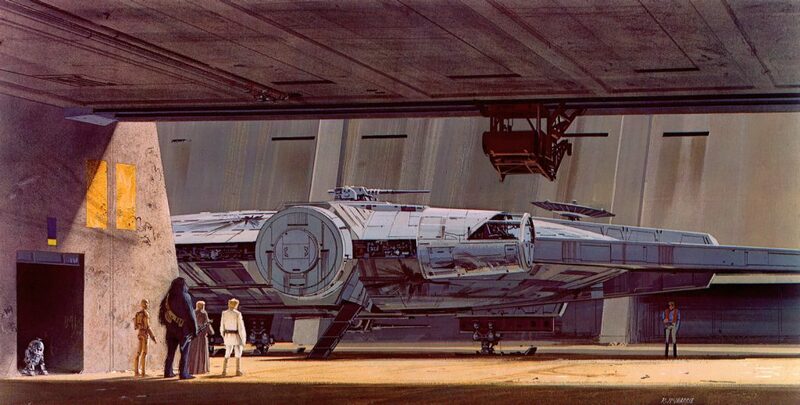 At one point George Lucas felt the original design of the Falcon looked too similar to the spacecraft on Space 1999, and initiated a major redesign. You can read about it on Joe Johnston’s page. One line jumps out that is interesting: he did several drawings that displayed the cockpit centered between the loading arms. To my knowledge, none of the Star Wars books in existence (I own several) have any of these design illustrations showing the cockpit in the middle. There are scant clues to the evolution of the Falcon design, with many recently provided in J.W. 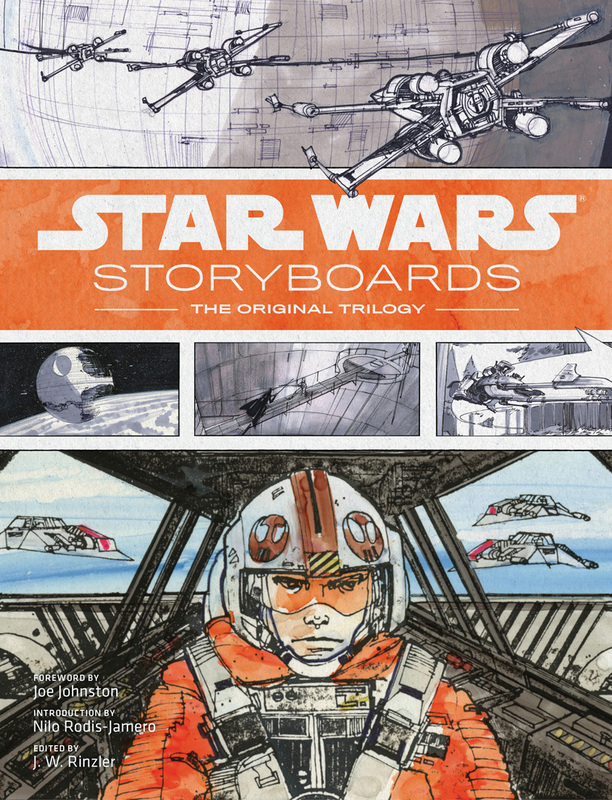 Rinzler’s book of original SW storyboards. It is curious to many out there how the team got to the radical redesign, and what it looked like in the process. Ralph McQuarrie in a DVD interview asserts that Joe had several sketches of the centered Falcon cockpit, and that George Lucas told him to shift it to the side and leave the center “claw” intact. He provides no other clues to its design. Well, there is a sketch from that time period in the archives of one of the principal effects artists. This image though reportedly not from Star Wars directly (according to Joe Johnston – kind of an authority), is an interesting alternate. Here is a mid-design phase of the Millennium Falcon as seen in the image from the model makers archive — drawn from memory. It may have more of an angle on the back end, instead of a flat edge. 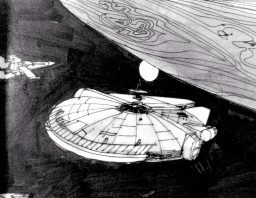 This image is a composite of several Joe Johnston drawings that are modified to match the unknown design of the Millennium Falcon — drawn by another Star Wars artist, but never released. The drawings are a conglomerate of many extant Joe Johnston sketches, with additions fro study purposes. The cockpit is still centered, and the main engines from the original Pirate Ship design are in place. One interesting feature is the central location of the radar dish, as opposed to its final offset position — as well as it’s upward facing direction. 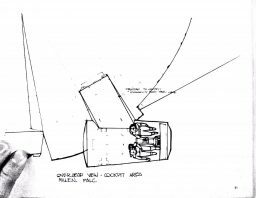 This radar dish is clear in the initial, pirate ship design, and the upward facing direction in this storyboard of the later saucer shaped craft. 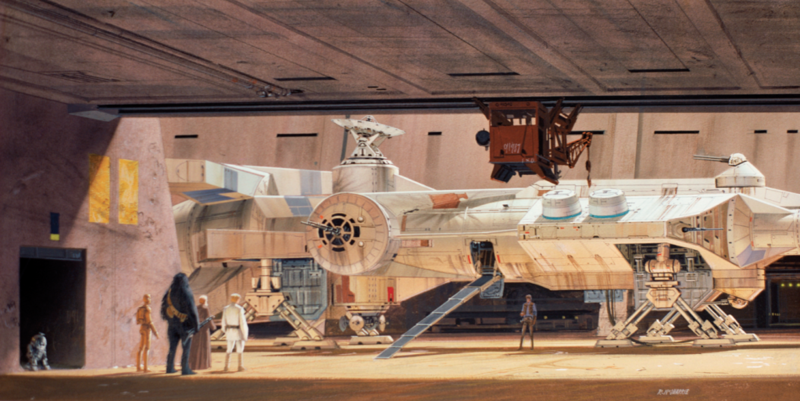 Ralph Mcquarrie paintings also show this feature, and with varying central locations. The final concept design for the Pirate Ship with up-facing radar. The Falcon (with side cockpit) and an up-facing dish. 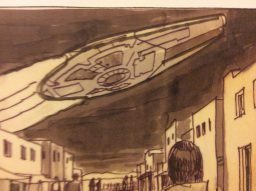 To re-iterate: Joe Johnston says that this is not from Star Wars, or his hand. Neither is it a fanciful creation of imagination, but something several people in a large room saw (accidentally shown at a Visual effects Society slideshow a few years ago). It does deepen the mystery as it sits in an archive from that period, from one of the model makers, looking as if it is a middle step. Someone drew the original, and no sketches that Johnston reported to have drawn of centered cockpits have ever surfaced. There is the possibility of this being drawn after the success of Star Wars for publications, as this also happened in that time period. 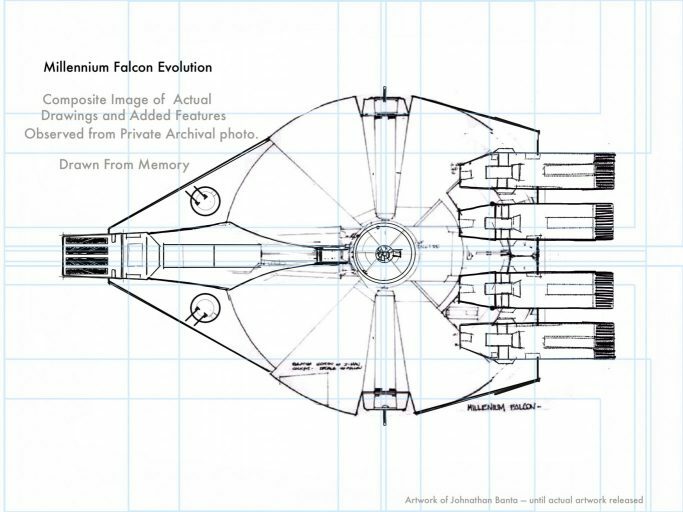 To see a secondary evolution of the craft, one only has to look at the many storyboards drawn which include the Falcon. Some actually have no cockpit, or antenna on the ship, showing that they were drawn as the design was evolving. At one point Joe hooked the cockpit into something close to its current configuration, but without the major cylindrical connection we are accustomed to — which were obviously added later. Blasting out of Mos Eisley with no cockpit or additions. The design was a lot smoother at this point. The cockpit was added as an outcropping with minor connection to the interior. The Pirate Ship design translated into the Blockade Runner. The Falcon was truly unique. This is not an exhaustive comparison of all the design decisions made over forty years ago, but further analysis of the images reveal some unusual iterations. It is interesting to see how it evolved, and curious that the mid-level designs (to my knowledge) have not leaked out of the archives. This was an enticing lead, but unfortunately are not the hand of Joe Johnston, and their place in the narrative of the design is still unresolved. 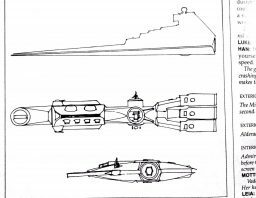 Armed with this sketch, one can see that there are a lot of similarities to the new television series Star Wars Rebels main spacecraft, called “the Ghost.” It harkens back to the design aesthetic of the first trilogy. This animated series is rife with designs that did not make it to the big screen that are in the Star Wars archive. The creators want the new show to have the feel of those movies, in that time period. Why not have the original designers partially art direct their show by using the original evolution they went through in the course of design? Not to denigrate the skills of the designer who might have made this up out of whole cloth, but this may also be evidence that unused versions of the Falcon are still inspiring artists today, and that this image is somewhere in the archive. That is a supposition. 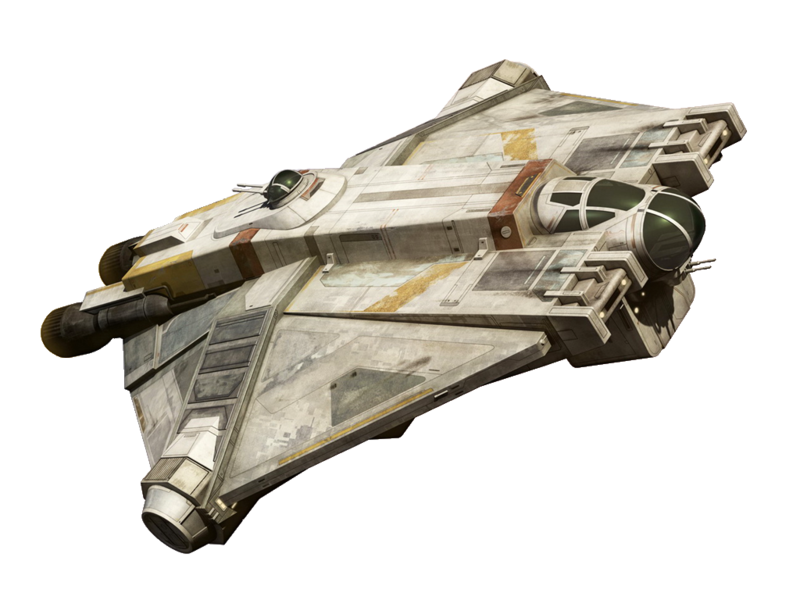 The new GHOST from Star Wars Rebels has similar design features to abandoned Falcon designs. Is this a clue that someone has seen this iteration? The GHOST illustrated in a classic Star Wars Ralph McQuarrie style. Why should it matter what the Falcon evolved from 40 years or so later? Because it is unique. 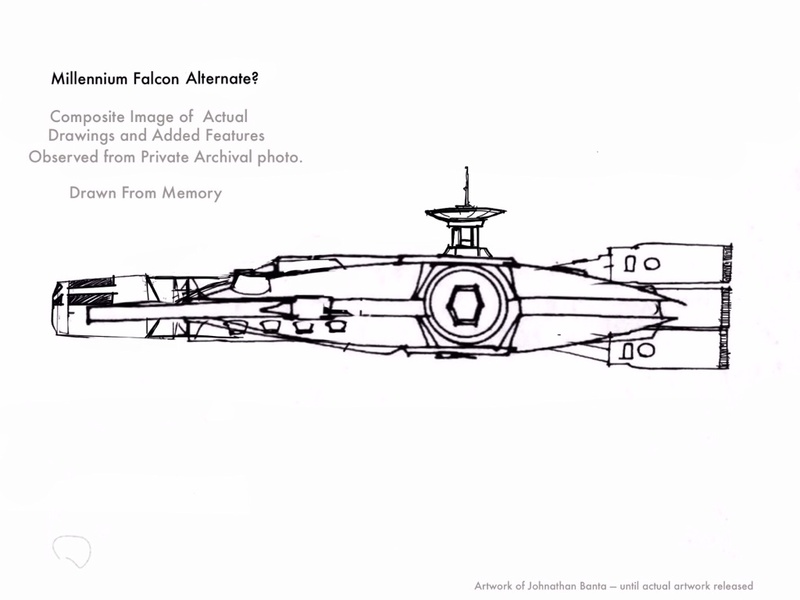 It would be fascinating to see all the sketches that were rejected, as the Falcon evolved under those stressful circumstances. It would also be good to understand where the source image inspiring this drawing fits in that cannon of images. Mostly because it is fun. 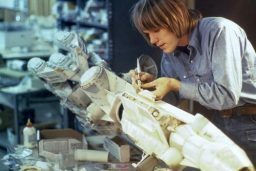 While VFX professionals dedicate their hobby time using modern photogrammetry techniques, and image analysis to re-create the original 1977 film version of the Falcon, before all of the modifications in The Empire Strikes Back (an interesting film artifact preservation move for the future, in my opinion), this piece presents a further glimpse into an archived history of this iconic design before that — possibly for the first time. It seems there is so much more in the Star Wars archive left to explore, made in desperate conditions, and though this is an evolution that died-out, It is solid concept design. 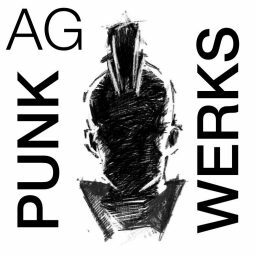 What an interesting exercise to analyze the artwork and artifacts of that film to see what we discover — modern-day VFX archaeology. Surely the Star Wars universe is large enough to embrace these design steps, and aficionados want to see it. Let’s hope someone lets us see some more, or at least the original image that inspired this whole article. *Stinson’s All Things Star Wars Has a deeply interesting 3D re-creation of the original pirate ship model as a full size set. It is all computer graphics, but it is a fascinating exploration into what could have been. ** Here is a thread at originaltrilogy.com that discusses the lack of evidence.